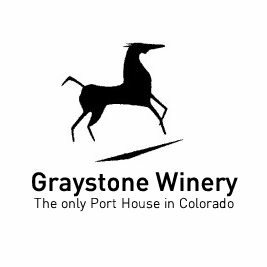 Graystone Winery, where Port is our speciality. We feature ruby red Ports and Lipizzan, a unique white port. Our ports produce complex bouquets of distinct aromas which evolve as you taste it. As an aperitif or after diner, these Ports pair well with cheeses, nuts, and chocolates. Try them with chocolate dipped strawberries, cheese cake, or walnuts. Our velvet-rich Ports are not for fast drinking, but demand contemplative sips that stimulate great conversation among the company of friends. Colorado’s only Port House. Tasting Room open daily. Take the Clifton exit off I-70. Turn left at the intersection thru Clifton. Continue East for 1 mile. Located at the base of the overpass to Palisade on Hwy 6 East (one mile from the intersection of I-70 By-pass and Hwy 6).